Monday evenings can be a great time to prepare meals that will last for several days! We love to create large batches of healthy foods that we can enjoy throughout the week. There are so many benefits to setting aside an hour or two of meal prep each week. It allows you to make conscious decisions about what you will eat throughout the week, and ultimately saves you time — after meal prep, you have nourishing grab-and-go foods available to you every day! We brewed up a batch of liver-cleansing beet juice to last for a few days. 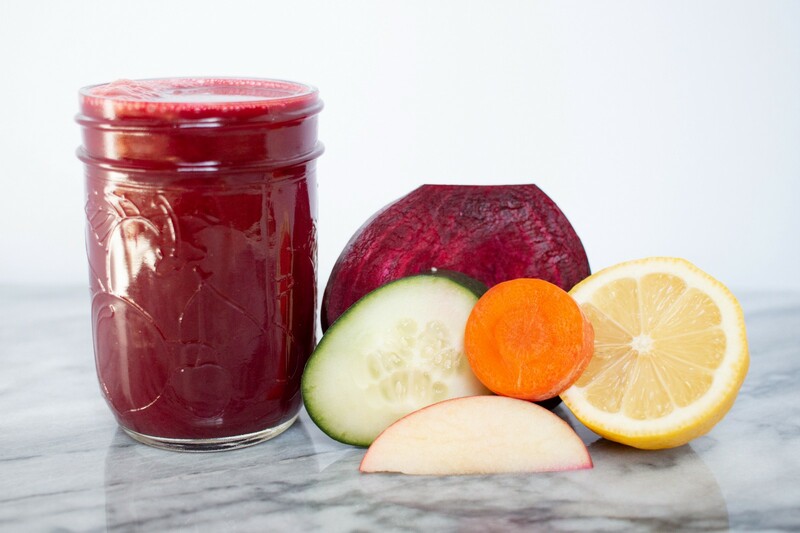 It’s loaded with fresh veggies, and nutrients from the beets will help cleanse your liver. Have a glass in the morning to start your day off right! Chop veggies into chunks. Add all ingredients into a blender and blend until smooth. Strain the blended ingredients through a cheesecloth and enjoy! Keep extra juice refrigerated.